An American Catholic priest wanted for allegedly sexually abusing Filipino altar boys as young as seven has been arrested in the Philippines and now faces deportation, officials said Thursday. Kenneth Bernard Hendricks, 77, was taken into custody Wednesday on the central island of Biliran after serving as a priest for 37 years in the predominantly Catholic Philippines. "We received information from US authorities regarding the alleged sexual exploitation of multiple minor Filipino boys by Hendricks," immigration bureau spokeswoman Dana Sandoval said in a statement. "This is our priority, to kick out people like this because they are preying on our children," she told AFP. Hendricks was wanted on an American warrant after being indicted by a US court on charges of "engaging in illicit sexual conduct in foreign places", immigration authorities said. The US embassy in Manila did not immediately provide comment on the case. It was not clear how American authorities had learned of the allegations. The priest allegedly abused altar boys, who were between the ages of seven and 12, in his residence and warned them they would go to prison if they told anyone about the molestation, they added. Hendricks, wearing a blue shirt and glasses, calmly nodded as he was being read his rights, TV reports showed. He later said he wanted to see the charges against him in writing. Local police said Hendricks was also the subject of a separate investigation by Philippine authorities after two boys filed a complaint against him. "People in the community could not believe the allegations as he was known as a good priest. He had no record of any violations so the community was shocked," provincial police spokeswoman Chief Inspector Lilibeth Morillo told AFP. Hendricks is to be deported and banned from the Philippines, the immigration bureau said. 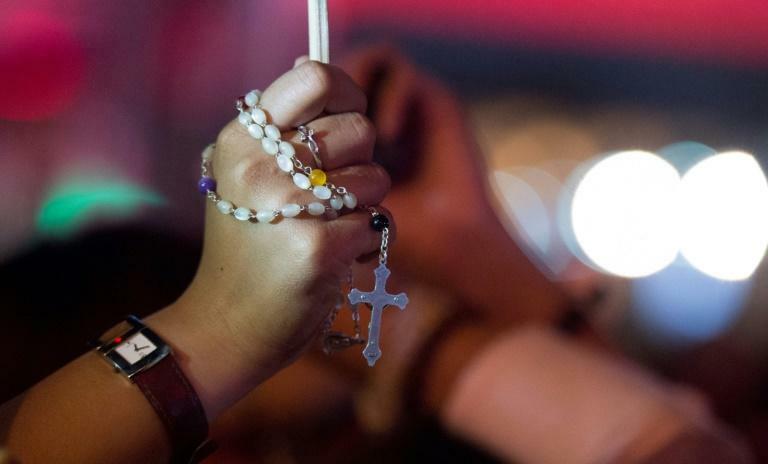 The Philippines is Asia's biggest Catholic country and has also seen sexual abuse charges levelled against its clergy. A US court in October sentenced a Filipino ex-priest to 20 years in prison for abusing minors there in the 1990s.